Alabama Redbone Coonhound Rescue View other Redbone Coonhounds for adoption. Willie is a big hound baby, he truly is. He loves attention, and will be glad to see you forever. Want to always have a happy face and wagging tail to greet you after coming home from a hard day's work? Willie is the guy for you. He gets along well with both boy and girl dogs, and big, medium, and small. With some definite hound in his heritage, he could be a howler, as some hounds are, or he could be quiet as a mouse. Willie will be neutered before going home with his new family. 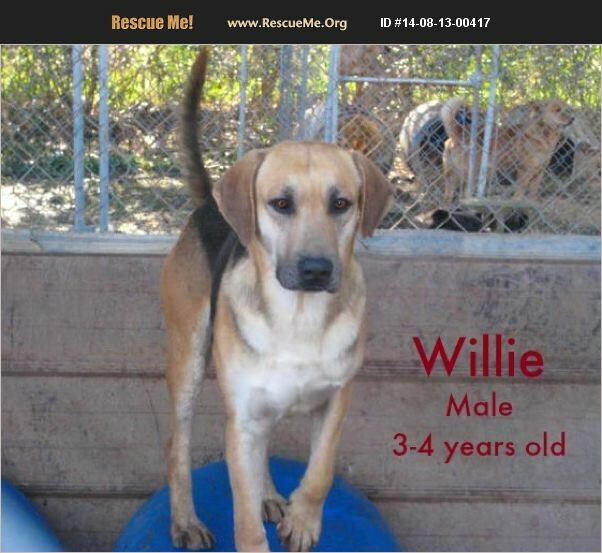 Willie is available for adoption from Second Chance Shelter in Boaz, AL for a $40 adoption fee.